Every tray is a unique work of art--no two are ever alike. 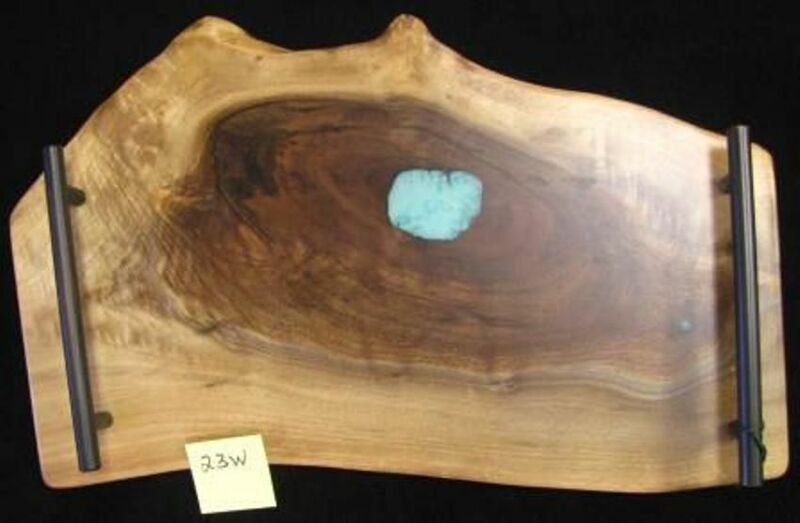 This one was created from a live-edge Walnut piece and inlaid with Turquoise. Notice the contrasting sapwood. With felt feet and Bronze handles. Size 16 3/4" x 10 1/2".